All images: From Jiao You (Stray Dogs) (2013), DCP, 136 min. ©2013 Homegreen Films & JBA Production. One of Asia’s leading filmmakers, the Malaysian-born Tsai Ming-liang rose to prominence in the 1990s as a representative of Taiwanese Second New Wave cinema. 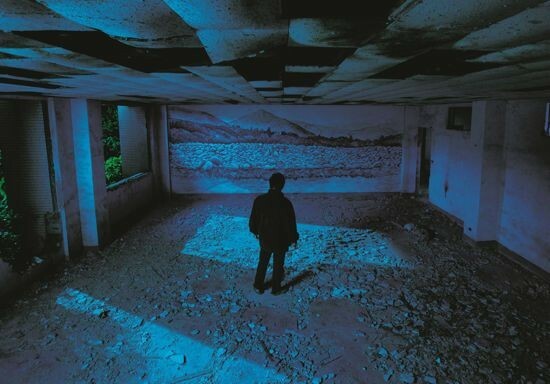 Often addressing issues of urban living and society, and steeped in the history of international cinema, Tsai’s films connect individual situations to broader cultural currents. Incorporating long, static takes, the films are also visually striking in their unflinching depiction of both human behavior and emotions and of the urban environment as seen through structures such as aging movie theaters, derelict shanties and abandoned construction sites. 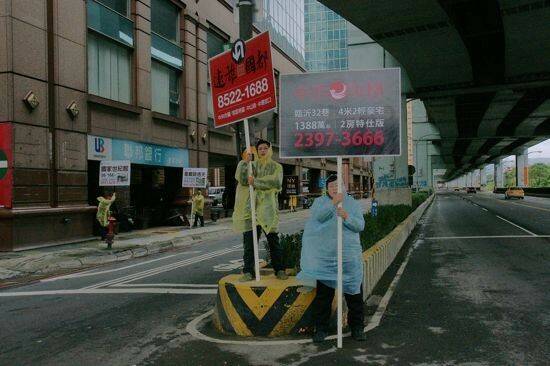 Tsai’s most recent feature-length film, Jiao You (Stray Dogs) (2013), follows the daily struggles of a homeless man – played by Tsai regular Lee Kang-sheng – who tries to support himself and his two children by working as a human billboard. The film made waves at the 70th Venice Film Festival, where it was awarded the Grand Jury Prize, when Tsai announced that it would be his final theatrical release, and that he planned to pursue more artistic projects. In June of this year, Tsai visited Tokyo for an event to promote the film held at the Theatre Image Forum in Shibuya in advance of its Japanese release. Prior to the event, ART iT met with Tsai to discuss his views on cinema today and its possibilities for creative expression. ART iT: When you presented Jiao You at the Venice Film Festival in 2013, you also announced your retirement from feature filmmaking, explaining that the demands of commercial filmmaking had become too restrictive upon artistic creativity. That being said, does film as a narrative form retain any potential for exploration? TM: I feel issues of narrative are just one part of the current situation. As an artist you hope that your work will in some way improve the people who see it, encourage them to be more idealistic, more peaceful, more respectful and considerate of others and society. But today people are only concerned with money, and films are all about making money. The current cinema is essentially Hollywood cinema. All films that circulate in the theater system fundamentally follow a fixed form, which extends to the treatment of narrative. For example, to make a film today you need stars, actors; if you make a martial arts or action film, you need digital effects – all these elements have become standardized. Certainly in Taiwan, China and Southeast Asia, the ideas behind filmmaking have become fixed. It’s about telling a story – a ghost story, or a mafia story, or a love story. Only a few people make films that respond to some kind of internal necessity. Of course, from the very beginning of the medium, films that play in cinemas have had a commercial aspect to them. But in the past, life was relatively slow. People would watch films to be entertained, but also to gain something from the experience, to learn about other lives and the broader world. If people seek anything from movies these days it is only stimulation; the most superficial, disposable things give them satisfaction. So the current situation is now entirely about business and consumption, and this is the primary concern of film producers. Everything else is irrelevant. And in order to do business you need marketing – you need a market. In the past, cinemas used to have their own dedicated facilities. Now they are all located in shopping malls. All the films that screen in such cinemas are commercially oriented. But my films are not like that, and therefore do not attract audiences. When they do get shown, it’s like a gamble for the cinema. For example, if one of my films is shown at a cinema and nobody comes to see it on the first day, it’s finished. I even did an experiment in Taiwan, selling tickets by myself. I sold 10,000 tickets in advance, and then argued with the cinema manager that since I had already sold so many tickets, he should give me a two-week run. Those 10,000 ticket-holders came to see the film, but the figures didn’t increase much beyond that, because my films are not consumable and they are not about entertainment as such. So you feel that after the first 10,000 people have seen it, the movie is done. It gets turned into a DVD, something to watch on a television or computer screen, where it cannot be fully appreciated as a film. And once a film is made into a DVD, you get pirate editions from China, which can be bought so cheaply that they cost almost nothing. Or suppose you make your own DVD, around 2000 copies. Out of those, maybe 200 will sell to your fans, and the remaining 1800 copies end up selling very cheaply on the market. You begin to question the whole situation. No matter what I do, how will people see my films? Who will see my films? How long will the films be around? So I decided to do something about it. From now on I will retain exclusive copyright over my works in Taiwan and Malaysia. That way, if I don’t want to put a film in a cinema, I can present it somewhere else. This gives me some control over the situation. And if I can control the situation, then I can cultivate my audience. I feel that the art museum, especially in Taiwan, is really the proper venue for presenting my films. Presenting my films in a museum context was such a liberating experience, because in Hollywood cinema the longest film you can make is around two hours. Any longer and the audience feels it’s too long, or the cinema executives say it’s too long and don’t want to screen it, because it won’t do well at the box office. Even film festivals have told me they won’t invite me unless I shorten my films. These issues keep recurring, so you begin to feel that films are now completely controlled by market concepts. You have to make the films that the executives want. You have to make the films that the paying audiences want. Film is no longer an art, it’s a product. And if you do feel that film is an art, then why would you want to present it in the middle of a shopping mall? ART iT: Your films generally depart quite radically from standard dramatic approaches, so I’m curious what narrative actually means for you. Are you searching for another format for creating your own narratives? TM: For me, the important part of film is not narrative. With all kinds of media – novels, radio, television as well – people feel that the audience responds only to the story or plot. But these stories are all made up, and do not depict real situations. Real life is usually not so beautiful or romantic. Real life is more boring, tedious. But because the objective of films is to make money, everything has to be glamorous, exaggerated. Narrative is not being employed here as a reflection of actual life. In this context, it’s important to think about what film ultimately is. Film is a visual art. It’s about looking, which is different from the other narrative media. It’s close to painting, except that it moves. So what does that mean? For me, film is about the expression of images through the crafting of time. You don’t necessarily have to use narrative methods in order for people to appreciate a film, it’s just that audiences have been conditioned to think of film as something structured by a plot, which I find so disappointing. Our appreciation of film has increasingly degenerated. If filmmaking is a visual art, then why do you need to have a story in order to appreciate it? So it seems that the development of film over the past 100 years has come to a halt. The only thing that’s developing is the marketing and business of film. Everybody wants to do the same thing. In other art forms, you are able to do all kinds of experimentation, but not in film. I think it’s pitiful that such a wonderful invention, such a wonderful medium, is not being explored to its full potential. It’s only being used to make money. In my thinking, film no longer addresses the issues of time, of aesthetics, that it once did. If you look at black-and-white and silent films, the great ones are really great. If you look at the art of their visual composition and in their sets, you find a real sense of poetry. You see it in the performances and in the faces of the actors. But now it’s all about story, and this has led cinema to a dead-end. ART iT: I understand that you studied in the drama department at Chinese Culture University in Taipei. In contrast to film today, do you think theater offers any alternative creative possibilities? TM: The situation with theater is similar to that of film. It has become a tool for storytelling. I actually just completed a theater project in Europe, The Monk from Tang Dynasty, with Lee Kang-sheng. On the stage there was only a large sheet of white paper. I presented this production in several venues, including those in Vienna and Brussels, but each time the white paper was only a minimal intervention into the space of the theater. I was thinking about why we have theater in the first place, so I wanted to create a really essential performance, an essential theater. Once you develop a medium to a certain extent, it begins to follow an industry standard. You need to have lights, music, a story and script, dramatic acting. It’s the same with TV shows as well. You need a script, entertaining contents, scintillating dialogue. But when you enter a theater, it’s not the same as watching a TV show at home. At least fundamentally it should not be the same. The same applies to entering a cinema. It’s just that now everything feels mixed up together. So as I was making this theater project I thought, what would happen if I remove all those fixed elements? For example, what if there were no dialogue, just silence? What if there were no action, just a few simple movements? What if there were only minimal music and no change in the lighting? Would this kind of production still work as theater? Perhaps it would result in something new. Jiao You is also essentially dealing with these issues. When any artistic medium – film in this case – has been around for 100 years, it will ossify. Although we all know that it has ossified, nobody does anything to change it. Nobody thinks about how to change it, because they don’t care about it deeply enough. They only use it to make money. But I really love film. I feel it has lost its vitality as a medium and I cannot accept this. If I want to give my films vitality, then I have to think deeply about film’s significance as a medium. My approach is actually very simple. I get rid of all the most conventional elements, like dialogue, which I find so tedious. Everyone says that you can’t make a film without dialogue, but what about silent film? What did people do back then? So my method is to get rid of all the extraneous parts and then see what happens. Are you still able to understand it as a film, to get something from it? I think this gives my films a different kind of vitality. Speaking for myself, what I think keeps the audience watching with Jiao You is the film’s aesthetics: the composition of the images, and also Lee Kang-sheng’s face. His face is not the kind of face that you see in conventional film, because he is certainly not pretty, and he won’t sell tickets. He is not an idol. But he has been acting in my films from the time he was 20, and he is now 45. In some way, this is a complete betrayal of the conventions of film and the expectations of the audience. But earlier today, another interviewer mentioned that she would like to continue seeing more of Lee’s face. So if that face represents something, it is the concept of time. And it is not just one film, but 20 years’ worth of films that complete this concept of time. That is why I think film is such an interesting creative medium, because it can achieve things others cannot. One of the distinguishing characteristics of film is that it is a temporal art. What’s scary about theater is that once it’s over, it’s over. It’s like a flower that blooms and fades. Even if you somehow document a theater performance, it won’t have the same vitality. The feeling that you get when you watch a performance in the theater is yours alone. The next day it will be different, even if it’s the same production. That’s theater. Film has this strange ability to freeze time – although it’s very hard to say what that time is. For example, in Jiao You there is this abandoned space where the characters portrayed by Lee and Chen Shiang-chyi stop to look at a wall painting they find there. This space was created solely through the effects of time. There was no artistic intervention involved in making it. I am really worried about the current situation with computers and digital effects. You probably know of Teruyo Nogami’s book about making films with Akira Kurosawa, Waiting on the Weather. I think the title of this book expresses the true essence of the art of film. You have to wait, and then when that cloud comes along, it is a real cloud. Now, you could easily make that cloud using computer graphics, but it lacks the same feeling. The real cloud has real feeling. The computer-generated cloud is fake, and nothing more. I find it baffling that people go in for that kind of thing. As social advances speed up, it seems artistic expression suffers. Art needs to go slowly. ART iT: You are known for using long takes, but my personal impression is that – to use a Japanese phrase – this use of the long take is related to a sense of mono no aware, or the aesthetics of mortality and transience. Could you discuss this? TM: I think what you say is quite accurate. When I was making Jiao You, I was constantly thinking of Laozi and his statement “tiandi buren” (heaven and earth are not humane). The world has no sentiment, but this is not necessarily a bad thing, because it is also fundamentally impartial. The world does not believe in human exceptionality; to it, all things are the same. We all are born, age and die. As with all things, there is a limit to our lives; there are other limits as well. Perversely, this means that we can face our lives in a more relaxed way – we don’t have to be so serious. You don’t have to pursue the things you don’t really need. The situation in this film is that Lee Kang-sheng ends up with nothing. He becomes a kind of pure life. This is living. When you see him, you might think of yourself. When you see Lee reduced to nothing and living in that state, then what does that make him, and what does that make you? Right now you might still be pursuing many things, but someday you too will be reduced to nothing: you will even lose your life! ART iT: Because of your use of long takes, and your matter-of-fact way of detailing everyday social interactions, your films often have a quasi-documentary feel to them, but there is always a moment where that “reality” falls apart. 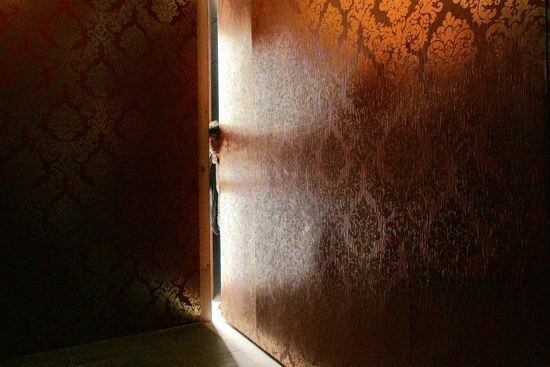 For example, in Jiao You, the mood takes a major turn in the latter half of the film when you reintroduce the “sick house,” which evokes an alternate reality, and casts everything that we have seen to that point in a new, fantastical light. Although there are hints throughout, the final scene of I Don’t Want to Sleep Alone, in which the three characters float away on the bed, also suggests everything to that point was just a dream. How do you conceive this relationship between reality and dream in your films? TM: I feel my films always remind the audience that they are watching a film. I don’t want the viewers to enter too deeply into it. Similarly, when I make my films I feel that I’m just an observer. I cannot solve the problems in the film, just as I cannot solve the problems in other people’s lives. The world of the film is not a means for reflecting the real world. I use film to create the truth of another world, but that is not necessarily the truth of the “real world.” The filmic world is produced through creation and transformation. This is why films evoke a dream-like or surreal sensibility: they are not real. Actually, I’m not sure why, but this morning I dreamt about my French producer, an older man who has already retired. I dreamt that Lee Kang-sheng and I bumped into him at a party, where someone wanted to take our photo together. The producer is quite a big man – broad and tall – and the way we were standing was very strange. Normally, he should have been standing in the middle between Lee and I, but instead I was on the far side, with Lee in the middle and the man on the other side. I recognized that in reality it would never happen like that. This kind of recognition applies to film, too. The awareness that you are watching a film can create a fantastic situation. However, most films do not allow for this kind of sensation. They only give you information; the only give you a story. Maybe you’re touched or not, or you laugh or don’t laugh, and then it’s over. Such movies are not essential to your life, whereas sometimes dreams are essential. You might think, what is the meaning of this dream, what is it trying to tell me? So when I make a film, it’s almost like I’m working with a dream, and that gives me freedom. I don’t rely on established conventions of filmmaking, like making the story as clear as possible. For me the less clear it is, the better. Film is of course similar to painting, but it’s also similar to poetry. You write poetry from your own experience, not somebody else’s. I am expressing my own experiences, so there’s no point in asking me how to appreciate it. What the audience feels is what they feel – they don’t have to find an answer, and everyone can have a different perspective. Film is like the moon in the night sky. The moon looks the same to everybody, but the emotions it evokes are all different. I think all artworks should be this way. Maybe if you look at the moon tonight you won’t feel anything, but if you look again tomorrow, you will. That feeling is unique to your circumstances – maybe you left your home, or encountered heartbreak. This is what gives you an emotional response, lets you know you’re alive, that you have passions, that you’re human. My creative position is very similar. It’s very free. Every time I shoot a scene, I often think it’s just like a dream. It’s not meant to be real. Jiao You (Stray Dogs) plays at Theatre Image Forum in Shibuya and other cinemas nationwide starting in late August. Distributed by Moviola.